There's a number of things to consider when introducing a new food to your cat. Here's some of our experiences to help you make the transition. 2. Build excitement! Cats are curious creatures and if there's something you don't want your cat to have or play with, it just makes them more determined to get at it. We've all been there haven't we? Use this to your advantage! Try locking kitty out of the room whilst you noisily prepare their food - clatter their plate around and make exaggerated noises of their feeding ritual. Put the food down, or better still, hide it somewhere you don't normally put their food bowl, let them in and watch them hunt for it. When they find it, they may be so happy they just wolf it down without a second thought. Win-win. 3. Prepare yourself for the odd setback but keep the faith. Your cat may turn their nose up at it and refuse to eat. You may also see a change in consistency of litter box 'parcels'. This is not a reflection on the food itself but down to the change in diet to a very high meat content food which they maybe aren't used to. If these situations occur, continue with a slow, gradual phasing in of the new food. The process may take longer than a week and it all depends on your cat, but you will both get there in the end. 4. Precede each feed with some form of cat-activity. The best way is through a high energy, interactive play session with our lifelike toys. This encourages the cat to act out their role as a predator. At the end of the hunt, the biggest reward for a cat is to eat their catch. The next stages to follow will be groom and sleep, which completes the predatory cycle (hunt-catch-kill-eat-groom-sleep) and is very fulfilling to the well-being of your cat. Play times need last no longer than two minutes if you're short of time in the morning, but aim for a longer one, or ideally two (5-15 minute duration) later in the day. An exercised, hungry cat is more likely to accept new foods quicker and easier. 5. Feed at least three or four meals. Big cats will sometimes eat once, twice a week due to the size of the prey they catch. A smaller cat may eat anything up to 10 meals a day in the wild. If you feed once in the morning, once early evening and once before you go to bed, and offer play sessions before at least two of these, your cat has increased mental + physical stimulation from all that hunting and thinking about their next meal. 6. Feed the right amount. 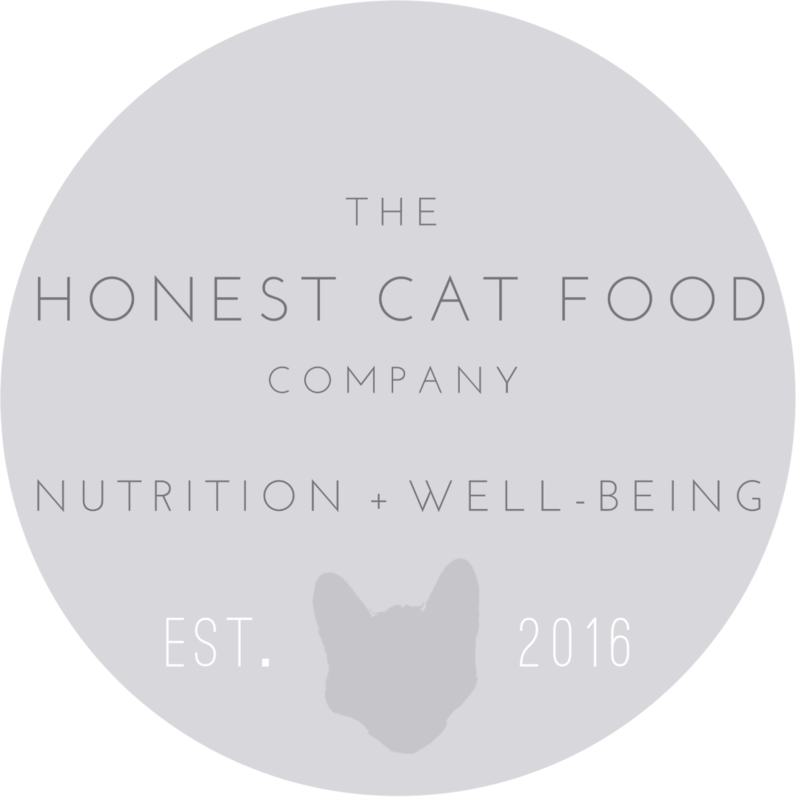 All our foods contain a feeding guideline based on your cat's weight/activity levels. In general, adult cats need 2-4% of their bodyweight in food a day. Our own Mr Finley weighs a little under 4kg, he's quite active (when he's not power-napping) and I give him on average, 190g a day - so half a big can which costs as little as 93p/day. He is svelte, glossy and at optimal weight. Because our food ranges don't contain significant levels of carbs or sugars, and through more frequent energetic play sessions, your cat's weight should stabilise at a healthy level. Because the food is so good, they will beg you for more, but don't give in. The cliched 'quality over quantity' seems apt. Consult your vet for more advice on weight management. Or feel free to drop me an email and I'll help if I can. 7. All our foods are suitable for both adult cats and kittens. Kittens and pregnant cats should be fed as much food as they want. The kittens are growing - not just maintaining their weight so it is essential they get the calories, nutrients, minerals and amino acids to enable healthy growth. 8. Keep a stock of our single protein varieties. These foods are great for whenever your cat has had an upset tummy and needs something as plain as possible to help any recovery. 9. Finally, and very importantly, don't serve fridge-cold food. 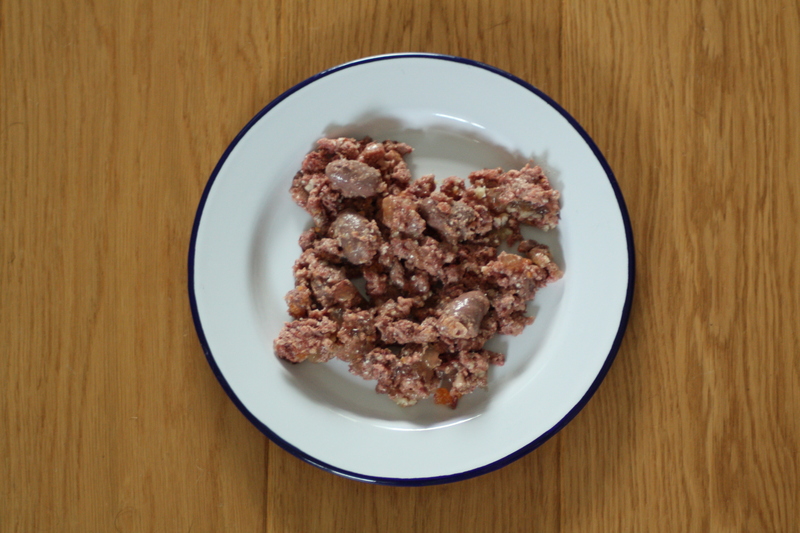 Serve the food at 'mouse body' or room temperature for two reasons - first, to replicate nature and second, to reduce the risk of an upset tummy/vomitting from chilled food. I give Mr Finley 1/2 a big can a day. The remaining 200g I put in an airtight plastic (never in the tin) container and store in the fridge for tomorrow. Removing the appropriate portion size from the fridge half an hour before feeding will be fine for room temperature. Or, quicker still, seal in a plastic bag (removing the air) and sit in a bowl of warm (but not hot) water for a few minutes. Additionally, all our foods are freeze-thaw stable as well - just be sure to give your cat all the resulting liquid that occurs when thawed as taurine and many vitamins are water soluble so may be lost from your cat's plate if you don't pour this back on to the meat. We love to feed Mr Finley raw foods as well as OmNomNom + Tundra. His favourite is a whole chicken leg. He takes the skin, the meat + the bone in his stride as I hold it like a macabre version of an ice cream cone for him to crunch through. Raw food is truly the natural menu for your cat, and whilst our foods are the next best thing, your cat will thank you for adding raw to their diet. The gnawing on the raw (never ever cooked) bone is really beneficial to their dental health, and it's a myth that crunching kibble is good for their teeth. This is because cats don't gnaw on the biscuits and tend to swallow them whole. And if they were to chew them, does nibbling a biscuit really help to clean teeth? I know my teeth don't feel clean after a hobnob or two? So next time you're dicing some chicken thighs, and you're confident their worming treatments are up to date, give a few bite sized pieces to your cat. I'm sure they'll love it.